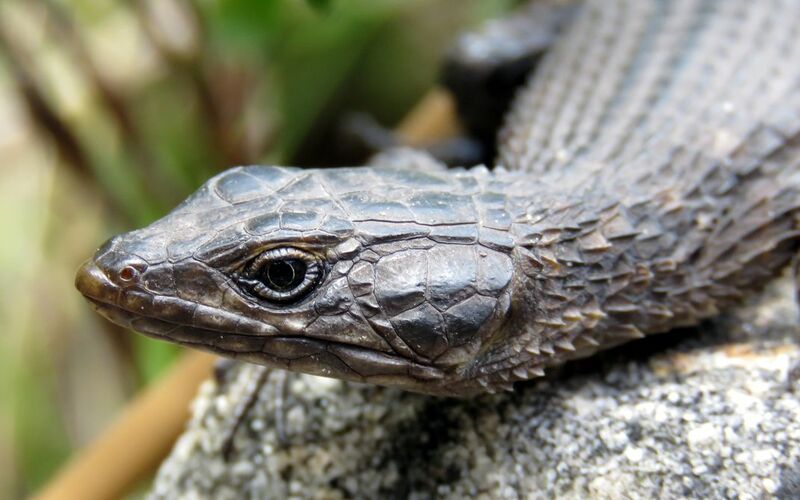 Close-up of a black girdled lizard (Cordylus niger). The lizard is unique to two small regions in South Africa, where this image was taken in November 2015. The dark colour helps them to maintain their body temperature when basking in the sun.